The European Union’s integration process has enjoyed 5 decades of success since its early days in the 1950s. It has gone from 6 member countries to a total of 28, plus a dozen of candidates (2016). At the same time, the European Union ceased to be a free trade area and became a full monetary union, starting in the 1990s. However, after 5 decades boosting economic growth and strengthening the institutions of the countries that have joined the Union, Europe has to pause to reflect about its problems and its limits. The economic and financial crisis in recent years has had a negative effect on growth in the area and has revealed inequalities between the member countries, as well as the weaknesses of the current stage of European integration: a monetary union without a banking union. Is it possible to maintain this system? The monetary union has also divided Europe: inside or outside the Eurozone. In such a situation, a strong banking union and the coordination of economic policies appear as the best solution. But the EU’s greatest weakness is not in the economic dimension of its integration, but in its political side. The Union’s current degree of political integration is relatively low, giving rise to enormous contradictions. On the one hand, the Union has fewer and fewer powers in the processes for electing the national governments, where citizens do participate directly, and on the other, the decisions taken at European level (which increasingly affect the daily lives of citizens) are resolved through negotiations among a large number of national governments that lack transparency, processes that are almost far removed from the ordinary citizen. 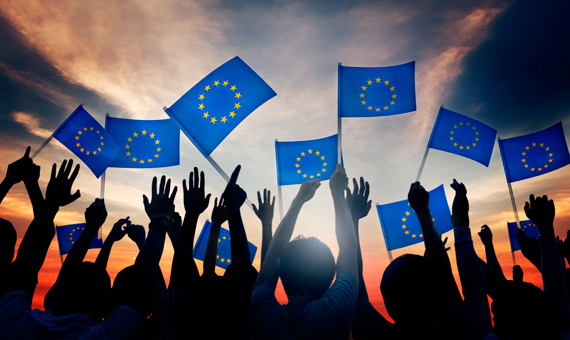 Is Europe degenerating into a technocracy without the direct support of voters? In parallel, social tensions and nationalist attitudes are on the rise in some member countries, which makes it difficult to pay the necessary attention to the nations applying to become members of the Union. Outside its borders, geopolitics is also posing different challenges: handling the tensions with border areas like Russia, or the instability in the Middle East and North Africa, which is increasing the migratory pressure and the number of refugees. The social policies needed for these scenarios have revealed the third weakness of today’s Europe: the lack of a true European foreign policy. Faced with a scenario like this, it is time to reflect about Europe, about its economic foundations, its nations, societies and culture, and also about its unresolved limits and the new world powers. These and many other topics are addressed in the latest book of the OpenMind series “The Search for Europe: Contrasting Approaches”, which can already be downloaded free of charge on the books section of the OpenMind website.